I wish you all a very Happy Independence Day 2014. Let our country shine and prosper. Work for the country’s development and prosperity. 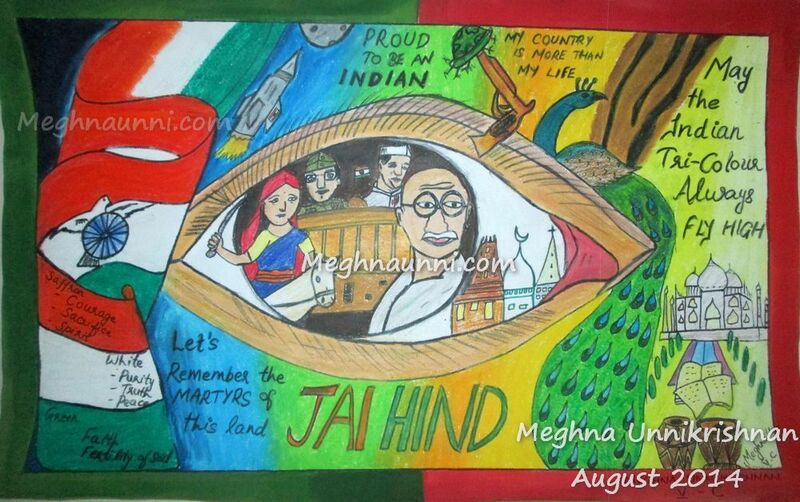 Here is my Independence Day Poster. Done for my school, The Schram Academy. It is displayed on my school notice board.